The Singapore International 3D Printing Competitions goes into its 7th successful run in 2019! 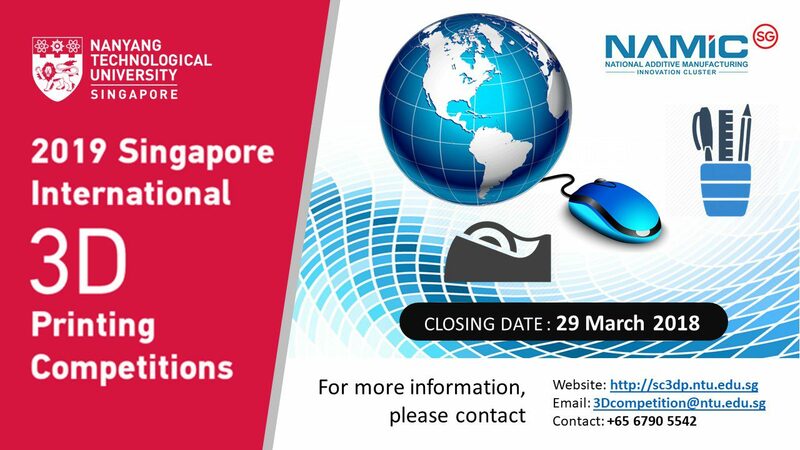 Launched by the Singapore Centre for 3D Printing (SC3DP) at Nanyang Technological University, Singapore, the overarching mission of these competitions is to promote the awareness and adoption of 3D printing technologies. The open category comes with a top prize of $10,000, and the Singapore tertiary and school students categories come with top prizes of $5000 each. The themes for the 2019 competitions are stationery and computer mouse. The printed physical parts must reach the office by 29 March 2019, Friday.